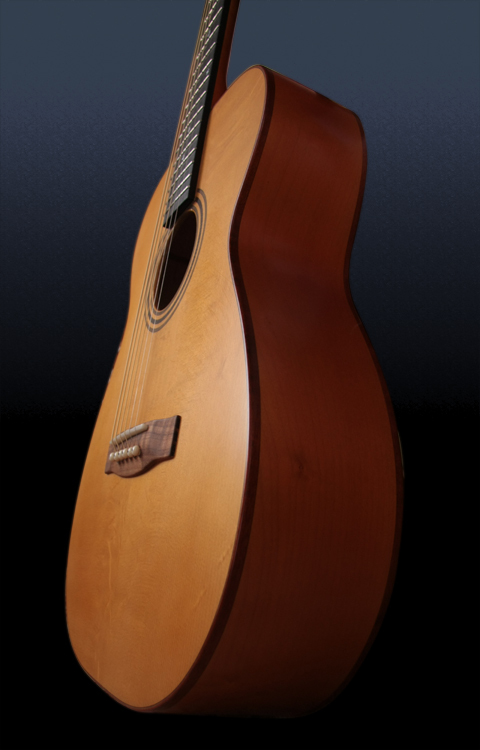 Shape: Acoustic guitar in 000-14 shape. Body: Body size is 14 5/16". Body depth is 3" to 4 1/8". Soundboard: "Bearclaw" with "mustache" bracing. 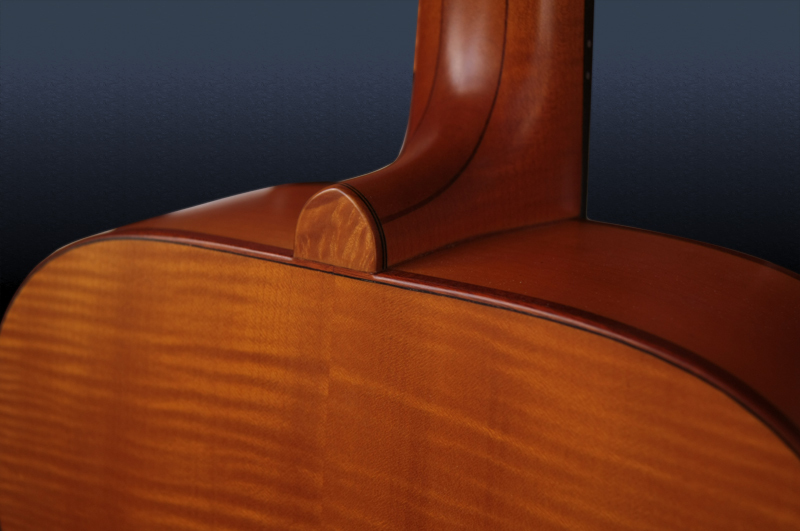 Slightly arched top as on old Martins. 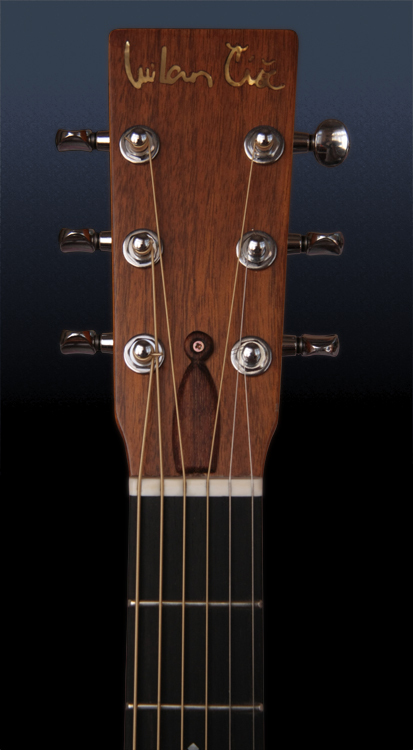 Neck: 5-piece neck with mahogany vener. Ebony fingerboard and ebony binding. Neck profile is "soft C". 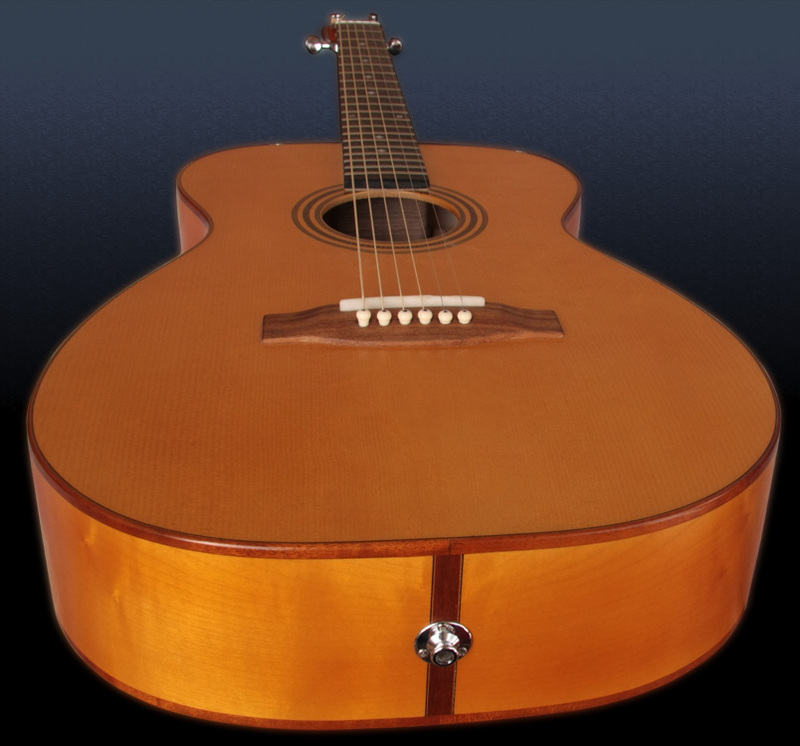 Other: Bridge is Bolivian rosewood, all inlays and fancies are ebony and mother of pearl. 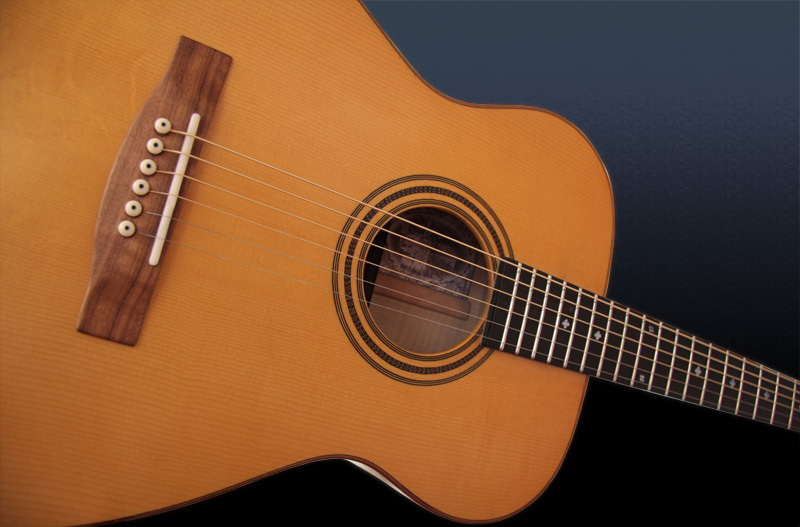 Sound: "Finger style" guitar wit balanced sound. External pre-amp is recommended.